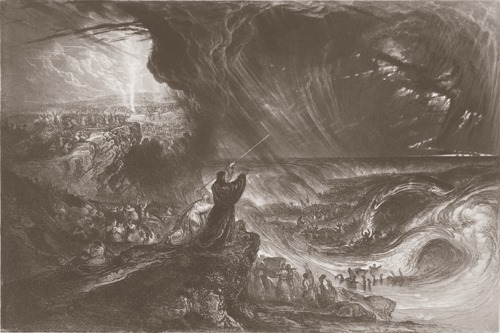 The Destruction of Pharaoh’s Host (A Destruição do Exército de Faraó), 1833, James Charles Armytage (English Engraver and Illustrator, 1802–1897), Mezzotint, 18.8 × 28.2 cm (7 3/8 × 11 1/8 in.). 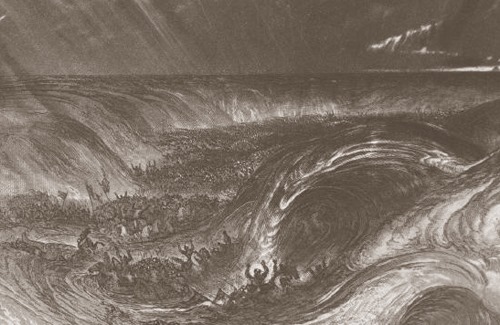 After John Martin (English Romantic Painter, 1789-1854), Tate Gallery, London, UK. Also: Victoria and Albert Museum, London, UK. 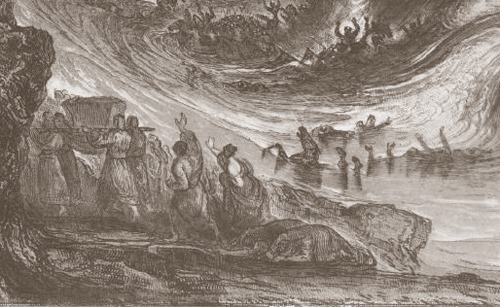 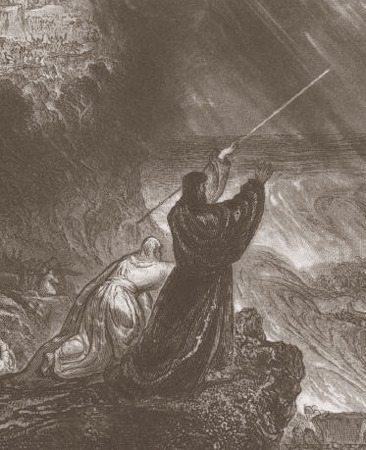 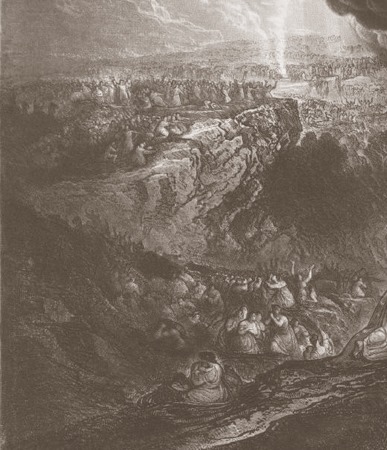 From Illustrations of the Bible, 1832–1835; an illustration of Exodus 14:27–29.